You probably already know that diet and exercise are important factors in maintaining a healthy weight and that neglecting either can lead to weight gain, which in turn can cause weight-related illnesses. But, what you might not be considering, is the important role that sleep plays in the weight loss equation. There seems to be more attention given to how sleep is important for mental health – to give the mind a rest and clear the head of the busy thoughts of the day. But, poor can sleep can affect the whole body in many negative ways, by slowing metabolism, making it hard to have energy to stay active and by raising the stress hormone, cortisol, in the body. It’s one thing if you aren’t sleeping properly and you find you are gaining a few pounds,but studies are showing that decreased sleep duration is actually contributing to obesity, in adults and obesity is on the rise. In fact, the worldwide prevalence of obesity has doubled, since 1980. Scientists credit this sudden increase to our change in working hours over the past 50 years and our exposure to artificial light after sunset and before sunrise, which confuses our circadian rhythm – the natural, internal process that tells us when to wake up and go to sleep. An important piece of cross-sectional research from 2008, which pooled together 696 studies and over 634,000 people, showed that there is a consistent, increased risk of obesity among short sleepers in children and adults. 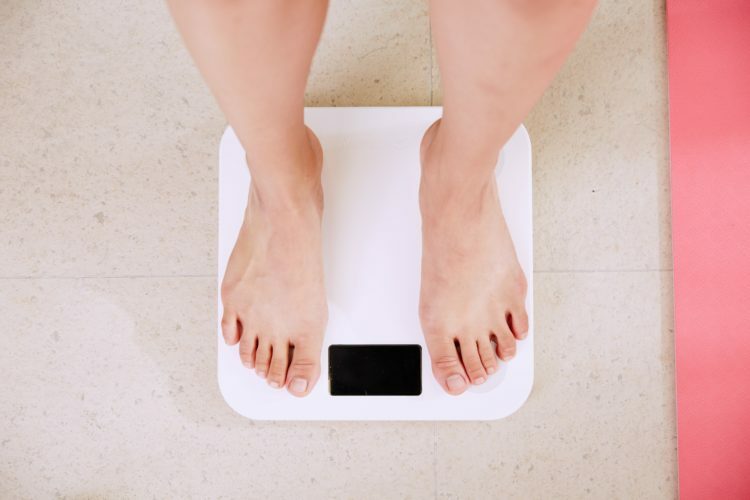 If you aren’t getting enough sleep each night, it could be not only making you gain weight, but pushing you into the obese range of BMI (Body Mass Index), which can cause bigger health problems. Summary: Studies show that not enough sleep makes you gain weight and could push you into the “obese” range of the BMI (Body Mass Index). If you aren’t getting a good night’s rest, you’re just not going to have the energy to stay active the next day and you might just go ahead and skip that workout that you normally make a part of your daily routine. Chances are, if you’re not sleeping well, you’ll also shorten the duration of your workout if you do go, because you just don’t have the energy to work out for as long. Lack of sleep also affects focus and, if you aren’t focused, you won’t feel as determined to hit the gym. Lack of focus can also increase your risk of injury when working out. You might also feel more inclined to make the excuse that you can’t exercise because you didn’t sleep well. 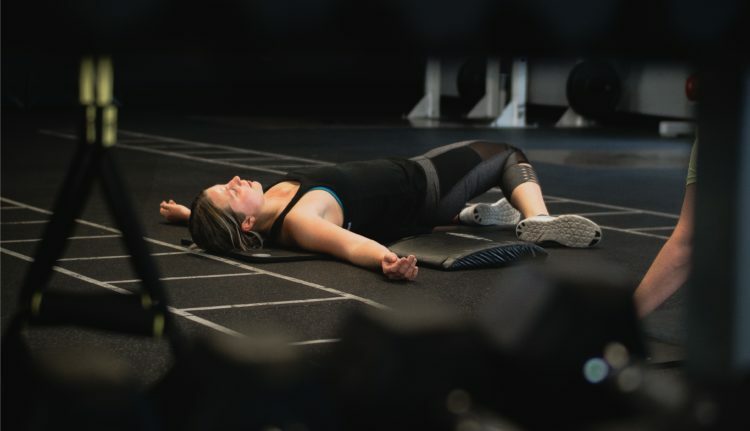 And, perhaps most importantly, lack of sleep affects your ability to build muscle, because you’re missing out on important hours of restorative sleep, in which your body builds and repairs tissue. Growth hormone and testosterone are also decreased in times of poor sleep,meaning your body is not repairing itself and recovering from trainingas much as it could be. Get enough sleep and you’ll give yourself the best chance at building muscle and repairing your body from exercise. Summary: A bad sleep means that you don’t have the energy to exercise. It also decreases the production of hormones needed to repair and build muscle. Not getting enough sleep can put you at risk for a number of life-threatening illnesses,including type 2 diabetes. Research suggests that there is a correlation between a decrease in sleeping hours and the increase in occurrence of type 2 diabetes in both children and adults. The very first laboratory study on this topic was conducted in 1969 and showed a marked increase in glucose levels of subjects who experienced sleep deprivation. Another larger and more recent lab study showed that by restricting sleep to just four hours a night for six nights in a group of healthy adults resulted in a shocking 40 percent decrease in glucose tolerance. 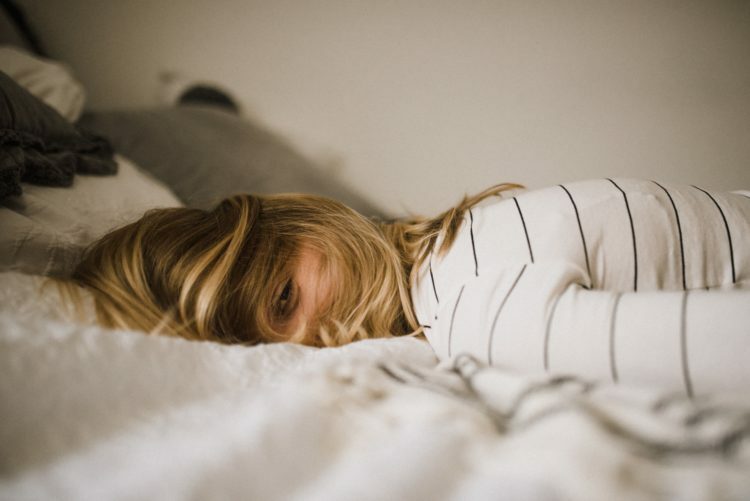 Other studies show that short-term sleep deprivation causes measurable changes in glucose metabolism, including insulin resistance, and a dysregulation of control ofappetite, which increases food intake. Both of these things increase the risk of developing diabetes, so it’s important to get enough sleep to keep blood sugars in check and to hormones balanced. Summary: Studies have shown that bad sleep can mess with your body’s ability to metabolize glucose and control appetite, which could lead to type 2 diabetes. The number of calories your body burns when it is at rest is known as its resting metabolic rate, or RMR. There are many factors that can change or affect your RMR, including your age, gender, size and BMI (Body Mass Index). But another thing that affects your metabolism is how well you sleep and research is showing that poor sleep can actually lower your RMR, causing you to burn calories more slowly and, in turn, gain weight. In one study, healthy adults were made to sleep for only 4 hours per night for 5 nights, followed by one night of a 12 hour “recovery” sleep. The results showed that their RMR decreased after their sleep restriction and returned to normal after their recovery sleep. Summary: Bad sleep can slow your metabolism by lowering your RMR (Resting Metabolic Rate), which causes weight gain. In the same study mentioned above, it was found that sleep restricted people also make poorer food choices, that can lead to weight gain. 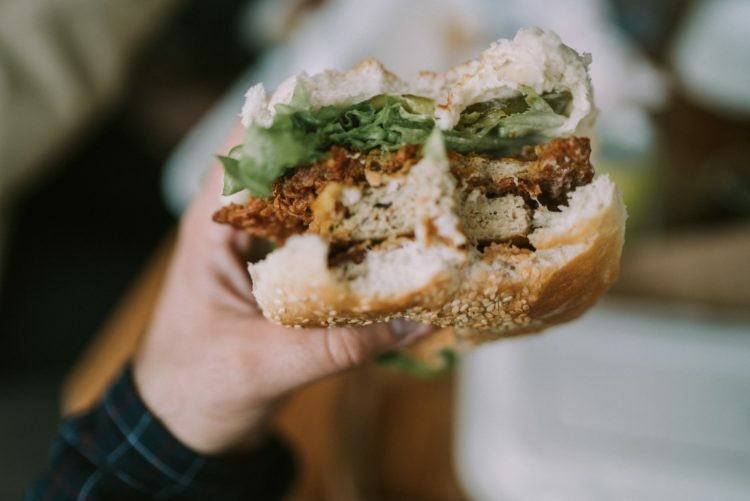 In fact, it was found that the sleep-restricted subjects consumed more calories per day, a higher percentage of calories from fat and a lower percentage of calories from protein than the control group. While they don’t yet fully understand what mechanisms make sleep loss affect RMR, they recognize that there is definitely a correlation and more research in humans needs to be done. Summary: Research has shown that people who sleep less consumed more calories per day and more calories from fat, leading to weight gain. Another reason why one might make poorer food choices when sleep deprived, has to do with two specific hormones, ghrelin and leptin. Dr. Michael Breus, clinical director of the Sleep Division for Arrowhead Health in Glendale, Arizona, explains that ghrelin is the hormone that tells you when to eat and, when you are sleep deprived, it increases. Leptin is the hormone that tells you when to stop eating and you’ll have less of this when you haven’t slept. This imbalance can cause a major issue over time, if you don’t know when to stop eating or when you are full. There is another hormone in the body that is affected by poor sleep, known as cortisol. Cortisol is called the stress hormone because our body, specifically the adrenal glands, release it during times of stress. It is a very important hormone because, in normal amounts, it helps to control blood sugar levels and regulate metabolism in the body, keeping our weight in check. However, too much cortisol can lead to weight gain, particularly around the midsection, below the belly button. It can cause high blood sugar, insulin resistance and type 2 diabetes, among many other illnesses. Research has shown that besides stress, sleep deprivation is another cause of raised cortisol levels. Normally, cortisol levels in the body lower as the day goes on, to reach their minimal levels before bedtime. During a study of patients who underwent periods of sleep deprivation, it was found that the rate of decrease of cortisol concentrations in the early evening was six times slower than those who were fully rested. Another example demonstrated how sleep loss resulted in an elevation of cortisol the following evening after a bad sleep, showing that a bad sleep can have a lasting effect on the body, at the hormonal level. 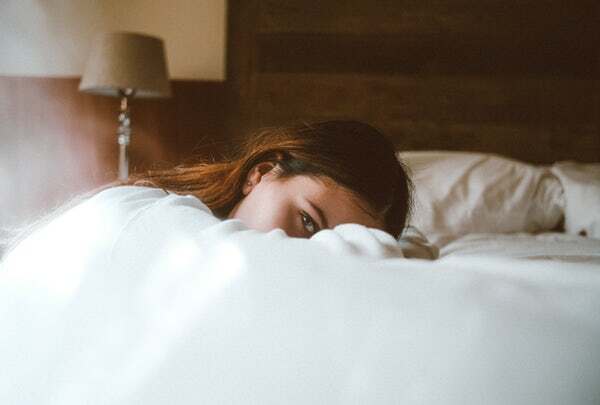 While more studies need to be done and some studies show contradictions, there is a large amount of evidence to show that poor sleep can cause hormonal imbalances in the body that can lead to bigger problems. Summary: Poor sleep can cause hormonal imbalances in the body, including elevated levels of cortisol and ghrelin and a decrease in leptin. These imbalances lead to weight gain. So, you can probably now see how poor sleep can cause weight gain, which can lead to obesity, but it’s also important to understand how bad sleep habits can push you into a vicious cycle of bad sleep. This is because obesity is both caused by and causes bad sleep. This can occur either through the breathing issues that obesity can cause, such as apnoea and snoring, but also through not being able to get comfortable due to excess weight, which adds pressure on hips, shoulders and other pressure points. If you aren’t comfortable when you’re sleeping because you’re constantly in pain, you’re going to be tossing and turning and losing out on valuable sleep hours, which, you guessed it – leads to more weight gain! This, combined with the other physiological disruptions in our body, make a recipe for disaster that can cause stroke, cardiac issues and even shorten our life span. Summary: Poor sleep can push you into a vicious cycle of weight gain leading to poorer sleep, which, in turn, causes more weight gain. The evidence on how poor sleep effects weight gain is plentiful and it does so in several different ways. While there is no doubt that exercise and diet play important roles in maintaining a healthy weight and Body Mass Index, it could be all for nought if you aren’t sleeping properly. Tackle the issues as to why you are sleeping badly, to give your body the best chance to not only heal and restore itself during the night, but to shed those unwanted pounds.